A little over a year ago India, Rover and I decided to go to Central America and the Caribbean (Ryan was on a four-week stint away for work at the time. India, Rover and I were in La Paz) I told India we could go west to the South Pacific, New Zealand and Australia but we would have to find a new home for Rover; while it is possible to take a dog to the South Pacific and beyond, it can be prohibitively expensive and there are some lengthy quarantines involved. On the other hand, if we decided to head to Central America and the Caribbean we could keep Rover as those areas are much more welcoming to traveling pets. Much to Ryan’s dismay and Rover’s satisfaction, we chose to keep the dog and head east. So far, we have entered Mexico, El Salvador, Costa Rica and Panama with Rover. To date, we have never been asked for his paperwork. Our entry into Mexico by boat was with the 2016 Baja Ha-ha. One of the advantages of signing up for this rally is getting to clear into Mexico in Cabo with a lot of other boats. 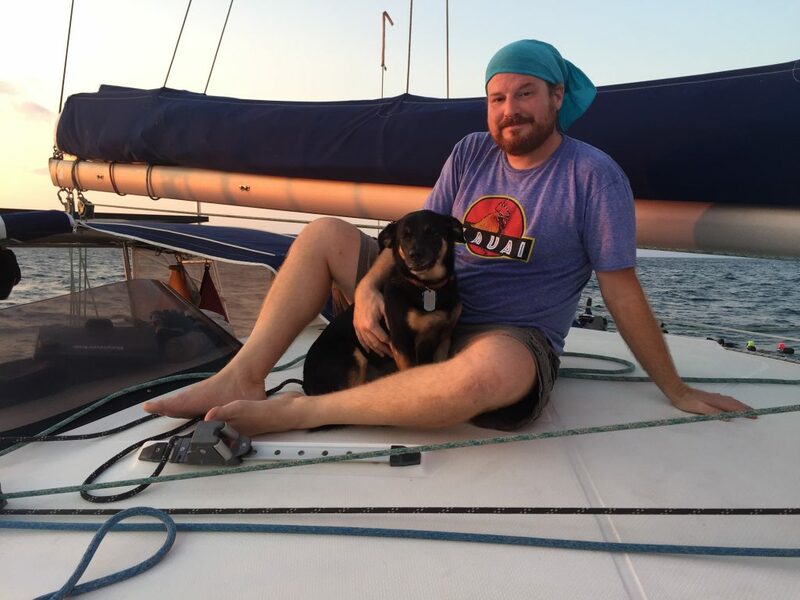 We anchored out, turned in our paperwork ourselves and were never asked about the dog. A few days before we left San Diego, I took Rover to a vet and obtained a current Health Certificate and a year supply of flea and heartworm medication. While in La Paz, I took Rover to Franzoni vet clinic for his annual vaccinations and to top off the medication supply. In Tapachula, in preparation for exiting Mexico, Rover went to Veterinaria Animal’s where I obtained a current health certificate for entry into El Salvador and heartworm medication. We entered El Salvador at Bahia del Sol. The official who checked us into the country met us at the dock and saw the dog on the boat; we were not asked for any of Rover’s paperwork. At this point I looked at noonsite for the pet requirements for Costa Rica and started asking around to see if anyone obtained a new health certificate while in El Salvador and notified the Costa Rican Department of Zoology for a permit prior to their arrival. The answer to both questions was a resounding, “No.” The advice I was given by those who had gone before me was, have a current vaccination record and be prepared to show officials the flea and heartworm treatment you are using. I decided to wing it. We cleared in at Playas del Coco. Once again, we were not asked about the dog. Rover was due for his annual vaccinations while in Costa Rica. We took him to Clinica Veterinaria Dra Jimenez in Playas del Coco. Our first stop was Vista Mar Marina where we rented a car and drove to Flamenco to clear in. We were not asked about the dog. A quick caveat, we cleared in with immigration at 4:00PM on a Friday and were being rushed out of the office. It was brought to our attention by another cruiser that immigration was supposed to direct us to agriculture (the desk next to the immigration officer) who would have asked us about pets, but that did not happen. We also checked that we entered Panama with a pet on our custom’s form but, were not asked for additional documentation. Other cruisers have been asked for a health certificate, vaccination records, and flea and worm treatments. Health certificates from the US up to six months old have passed muster. The Admeasurer, our Advisor and our Advisor’s Trainee all did not care about the dog. The Advisor’s Trainee fed Rover a feast of Vienna sausages. Over the next few months I will be doing my Caribbean research. A rabies titer test will be in his future as there are some islands which require it. If you decide to cruise with your pet, I recommend joining the Sailing and Cruising with Pets Facebook group. Ryan and Rover enjoying the sunset. This entry was posted in Boat Dog on July 12, 2018 by Caroline Spott.